Andy, Contracts-for-Difference.com: Thank you for taking the time to do this interview for our Contracts-for-Difference.com readers. How’s everything on your end? 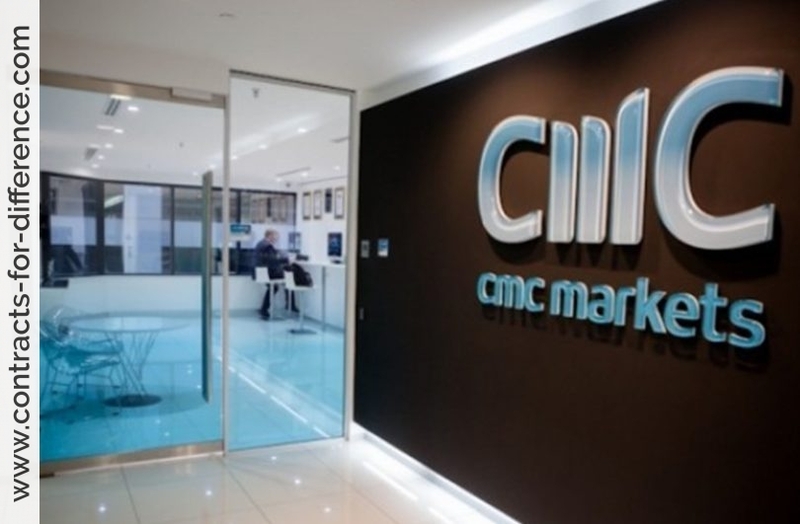 CMC Markets: The last couple of years have been extremely busy and exciting for CMC Markets. There has been rapid growth for the whole industry as private investors have become more informed and knowledgeable about the financial markets, and are becoming increasingly discerning about the investment tools that they are selecting. We have expanded rapidly here in the UK and also globally. In the last 2 years we have opened offices across Europe and Australasia to offer our CFD and FX products to relatively new markets. We have also spent a lot of resources improving out trading platform, launching mobile dealing, offering new products and tightening our spreads. Editor: Please introduce your company to our readers and tell us a little about the founders’ background and the company’s history. How big is CMC Markets? When did you launch? CMC Markets was originally founded by Peter Cruddas as the ‘Currency Management Corporation’ back in 1989. CMC Markets released the first Internet FX trading platform in 1996, which made FX trading accessible to a much wider retail audience. Since then, we have spent over $60 million developing our trading software and expanding our product range to include CFDs and Spread Betting. Growth hasn’t just been limited to the UK; we have been at the forefront of opening up retail trading across the world, from Australia to China. CMC Markets now has offices in 9 different countries with clients in over 100 different countries. 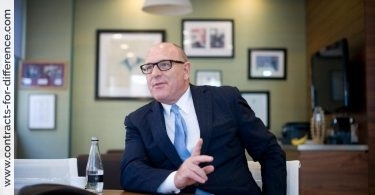 CMC Markets however, is still partly owned and managed by Peter Cruddas. Editor: Deal4Free (www.deal4free.com) has in the past changed URL’s to www.cmcmarkets.co.uk. Please comment on the change. CMC Markets is now a global company, and the name was changed to unify the brand across the globe. Editor: Having spread bet in shares for years, why might I be interested into moving my account to the CFD platform? How do margins on CFDs compare to Spread Betting? CFDs offer more flexibility due to the fact that you can specify an exact number of CFDs (equivalent to shares) as opposed to trading on a pounds per point basis. Also, Capital Gains liability can be offset with CFDs ie. If your physical stock position were to rise, the capital gains incurred may be offset by the decrease in your CFD position. 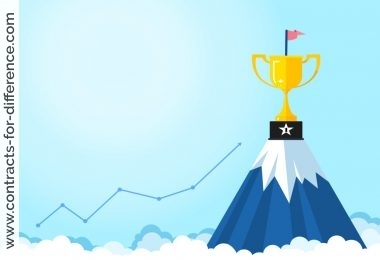 However CMC Markets also offers an award winning Spread Betting service, and most people in the UK choose Spread Betting over CFDs because of the Capital Gains tax exemptions*. Editor: What dealing platform do you use? Is it proprietary? What would you say really stands out about it? Does the CMC Spreadbet platform work in the same way as the CFD platform? 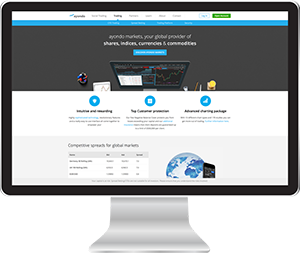 98% of trades handled by CMC Markets are transacted online through our ‘Next Generation Trading Platform’. Our trading platform is very important to our clients, and to us, which is why we employ over 100 IT developers to continually improve and maintain our system. The platform is downloaded from the Internet rather than web browser based, which means it has increased functionality, stability and security. The trading platform supports a fully integrated charting package including 42 different indicators and back testing module, real-time financial news from Dow Jones News Wire, one-click dealing and the interface is fully customisable. 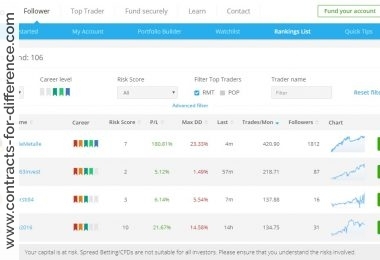 Our CFD and Spread Bet platform are pretty much the same. CMC Markets has subsequently won a clutch of prestigious awards for its trading platform and is widely regarded as the best in the business. Editor: Could you walk us through CMC Markets’ products? In particular what types of underlying investments, markets and events can I trade on? Do you offer trading on UK sectors (food & drug, construction, etc)? Also, can I trade different types of vehicle through a single account? Clients have access to thousands of instruments across 18 global markets. Equities, Commodities, Treasuries, Sectors, Indices and FX are all tradable with CMC Markets all from one account. Editor: Editor: What is the procedure for opening an account? How much do I need? Is there a minimum/maximum deposit? What are the minimum/maximum trade sizes? To apply for an account, complete an application form online at www.cmcmarkets.co.uk/cfds . There is a minimum deposit of £1000. Accounts are available subject to meeting Intermediate Customer requirements dictated by the FCA. If a client doesn’t have adequate trading experience they can open a Spread Betting account. Editor: How do you classify clients – intermediate or private customers – as we know classifying clients as intermediate indicates a certain degree of knowledge and experience on the clients’ part. To trade CFDs with CMC Markets , our clients must be classified as ‘Intermediate Customers’. This means that before you can open an account, you must be able to prove you have a certain level of trading experience. For those that do not have the required experience, we can offer Spread Betting. This will allow clients to build up the trading experience they need for CFDs. Editor: Do you offer Direct Market Access (DMA) or Spreads? Are the prices quoted by CMC Markets level 2 real-time or do you make the market? CMC Markets is a market maker and does not offer Direct Market Access. We do offer level 2 pricing on our UK100 stocks. Editor: Do your products involve telephone or online trading, or both? Is there a cost difference if both are offered? At CMC Markets we offer online and telephone dealing, there is no cost difference and both are available 24 hours. 98% of all trades are done online by our clients as they choose to use our award-winning trading software, Marketmaker®. Editor: Do you quote all UK companies or only those within a substantial market cap? It is my understanding that CMC Markets is one of the few companies offering trading on FTSE 350 shares and AIM listed companies. Please comment. Currently, CMC Markets quote all companies that are members of the FTSE350, effectively the 350 highest market cap stocks in the UK. Over the coming months we are looking to increase our offering and we will be looking into Smallcap companies. Editor: Do you offer after-hours trading? Yes, we offer extended trading hours on certain FTSE 100 stocks that are American Depository Receipts (ADRs -ie listed on US exchanges). You are able to trade these stocks until 21.00. Nasdaq listed stocks are available to trade at 13.00. Editor: Please tell us about your financing charges on equity CFDs? Financing will be charged on daily rolling cash trades held overnight at a rate of LIBOR + 3% on long positions. Clients will be credited LIBOR – 3% on short positions. Editor: Is interest paid on the balance of the accounts? If yes, what are the rates? Editor: Are dividends paid out? If you are long in your position your account will be credited with the dividend and if you are short the dividend will be debited from your account on the ex-div date. This will negate profit or loss for both long and short positions. Editor: Please explain how you handle re-quotes and order confirmation times. If I place an order will the price be re-quoted? And fast markets? Editor: Can one participate in the auctions at the scheduled open and close of the market? Please also clarify your policy regarding using stops in the pre-open phase of market? For instance, if I had a stop loss for a stock and the estimated opening price was below the stop loss level, would you stop me out of the trade due to potential margin breach before the market opened? At CMC Markets, you cannot trade on the auction. A stop loss will only be triggered if the price is hit in the market. Editor: What level of leverage do you offer as standard? 100 times leverage on FX and Indices. Margin rates are between 3% and 10% on Equities. Editor: Do you offer stop entry and stop loss orders? What are the charges (if any) associated? There is a choice of free online order types including Stops, Limits, OCOs and If Dones. Guaranteed Stop Orders (GSOs) may be placed on instruments via telephone and carry a charge dependant upon the instrument, it is best to call our trading desk for current prices. Editor: Is your Market Maker platform suitable for both charting and dealing? If so, are the quotes live or delayed? Our quotes, live charting and position keeping are all updated in real-time. Editor: Contracts for difference are sometimes criticized because one can end up paying interest not only on the margin and the ‘borrowed’ amount, but also on the profits. Please comment. CMC Markets do not charge interest on profits. Editor: Are there traders who make a living through contracts for difference at CMC Markets? What is the trading style and methods that these traders use for winning consistently? At CMC Markets, we have clients that trade as a hobby and those that trade to provide an income. It would be difficult to say there is one consistent, overall, magic winning formula. Successful clients use a variety of trading strategies. Editor: What services are you offering that others aren’t? 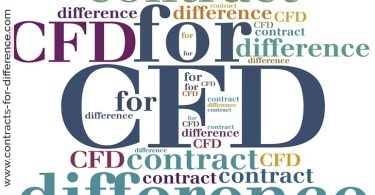 Why should clients choose CMC Markets as their CFD firm of choice? Our greatest achievement is that we can offer some of the tightest dealing spreads available. Plus CMC Markets offers some of the most competitive margins available. Typically margins are 10% and below for Equities and 1% for Indices and Sectors. This makes CMC Markets one of the cost effective and efficient ways to trade financial markets. We also have an excellent trading platform that has been commended by industry professionals. I think everyone makes mistakes when they first start trading and the two classic ones that I made are not using stop losses and trading too big in relation to the size of my account. You can learn so much in the early stages but the important thing is to trade at a level that ensures you are still in the game so you are around in the markets to benefit from those lessons. Editor: There are many sayings in the markets; do you have a favourite one? It goes back to the mistakes you make when you first start. “Sell down to your sleeping level”. If you are lying awake at night worrying about your positions in the markets and how it may open the next day, you are probably trading too big. Trading is hard enough without putting more pressure on yourself by risking large chunks of your account on anyone trade. Editor: Do you provide any training for new clients? Are there any virtual trading facilities? Yes, we regularly run free seminars for clients on a variety of topics including trading, using our software and technical analysis. We also have an education department that provides more in-depth financial markets training courses. We have demo trading accounts with virtual funds of $10,000 to trial the software. Editor: Who is predominantly making up your customer base at this time? Also, what kind of people are your customers – i.e. do they tend to have City experience? We have a very wide variety of clients from all different backgrounds. Some of our clients work in the city but may vary from being builders to dentists. Editor: Any books and resources you would recommend to fellow traders? Any other comment you want to make? Editor: Do you organize any training seminars or meetings which our readers could attend? Do you have any special sign-up trade offers for our readers who decide to go ahead and open an account at CMC Markets. We have regular seminars on learning how to trade CFDs and Spread Betting . For more information and to register, please visit our website. * Tax laws can change. Remember, Spread Betting, CFD Trading and FX Trading are leveraged products and carry a high level of risk to your capital. It is possible to incur losses that exceed your initial investment. This product may not be suitable for all investors, therefore ensure you fully understand the risks involved and seek independent advice if necessary. CMC Markets UK Plc is authorized and regulated by the Financial Conduct Authority.